If you are looking for a comprehensive math workbook you can use to help your kids learn maths and evaluate it, look no further than – Second Grade Math 2! 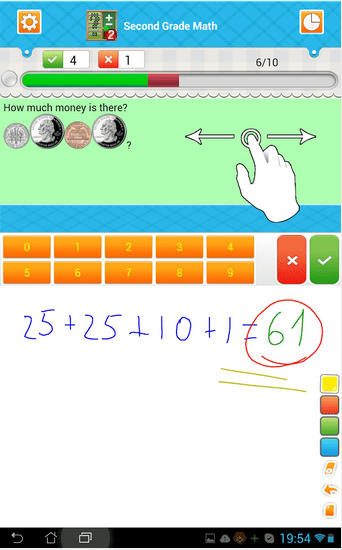 As the name suggests, this app is designed for second graders that will help them learning maths easy. As we all know, math takes real efforts to learn, and practice is the only way to get better at it. Considering the all the basic practices and methods everyone needs, this app focuses on number of skills you can improve using this app. Second grade math covers all primary topics that are essential for learning maths like – Addition, Subtraction, Multiplication, Division, Comparing numbers,Date & Time,Money, Data & Tables, Mixed & Word problems. With these 11 chapters, you can learn more than 120 skills and have about 1200 problems to get solved from your kids. 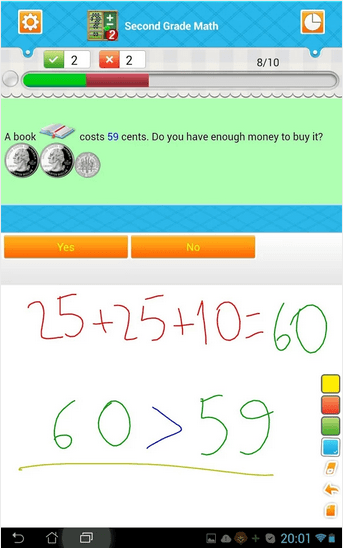 The app runs all by itself, and without an internet connection, you can teach your kids anywhere using your Android device. 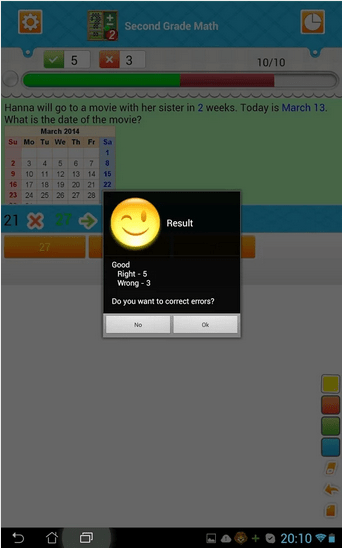 Apart from the regular math questionnaires, problems and theories, you get to solve the problems in Quiz formats, and with features like timer, your kids get experience of the realistic exams. 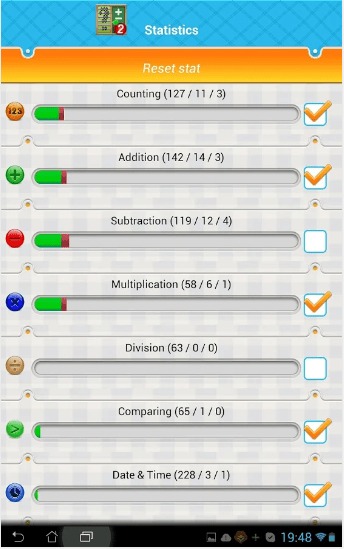 While you are solving the problem on the device itself, your kid will get an overview of how much of the exam you have to cover using the status bar on the top. And once you finish the exam, you can also revisit and try to solve the wrong answers again. 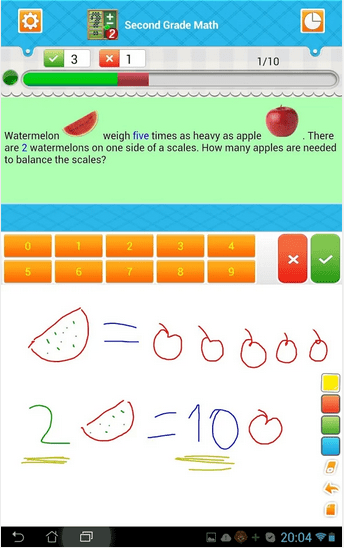 The app interface of the app is great to look at and very responsive, so your kids can practice as much as they want, without wasting any paper. Overall, being a completely free app, I will highly recommend this to all the parents who own Android devices. iOS Game Review: Guessing The Pic Puzzle!